This is partly due to political pressure from the influential ultra-nationalist Ukrainian-Canadian community. In January, Colt Canada representatives held a “fact-finding meeting” with government officials in Ukraine. As noted, in December the Government of Canada amended the rules of exports, allowing the sale of weapons and small arms to Ukraine. “In the area of 93rd separate mechanized brigade in the vicinity of the city of Volnovaha, a group of foreign instructors has arrived – led by a representative of the Armed Forces of the United Kingdom, for the purpose of training of Ukrainian servicemen on how to carry out sabotage and subversive activities,” said Basurin. The DPR stressed that rotation of the Ukrainian military has been completed in the Mariupol district. The marines which came to replace the infantry brigade have participated in the NATO exercises in Georgia in September 2017. “It is possible that the commander of the 36th Marine Brigade will give an order in the near future to carry out provocative actions and practice the skills gained” said Basurin. Experts admit that the arrival of foreign instructors directly to the region may indicate possible plans for the escalation of the situation. 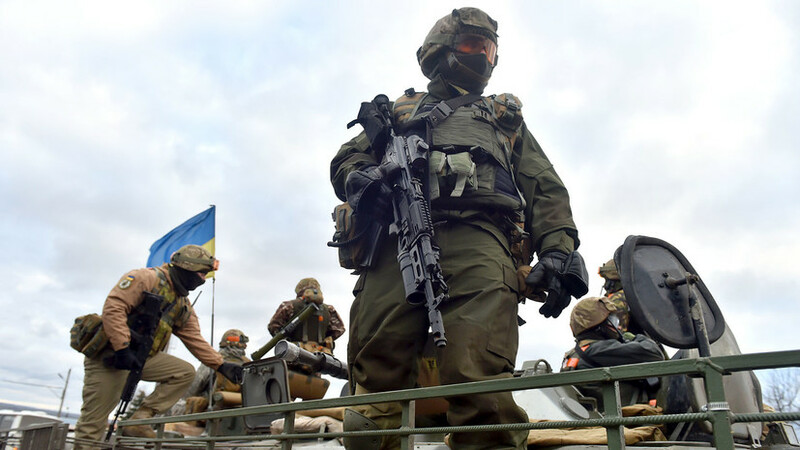 The director of the Center for Strategic Studies, Ivan Konovalov stated that “the essence of what is happening is that the training of servicemen of the Armed Forces and soldiers of the National Guard was so far, carried out in zones away from the so-called ATO. And now they decided to change the format and conduct training in conditions that are close to combat. We can assume that they will conduct local combat operations of a sabotage character, to check the preparedness of their men. ” said Konovalov. The same opinion is held by the vice-president of the Academy of Geopolitical Problems, Vladimir Anokhin, who believes that Kiev is planning a major offensive operation in the region. “There are a number of factors that can be used to judge that Ukraine is preparing for large-scale hostilities – possibly late February or early March. This may well be related to the elections in Russia, ” the expert said. Note that the UK launched a training program for the Ukrainian military under the name “Orbital” in February 2015. Then it sent 75 military doctors to the country, who provide medical help on the ground. In July 2017 Orbital was extended until 2018. During this time, about 6 thousand Ukrainian soldiers were trained in its framework. In addition to Britain, Canadian specialists who come to the country within the framework of NATO’s Unifer mission are also training Ukrainian soldiers. In March last year it was reported that 200 instructors had arrived from Canada. The US has recently spent $ 22 million to equip a military training center near Lviv, to accommodate the new training programme. Overall, there are currently an estimated 900 foreign instructors and foreign mercenaries in the Ukraine. “We know of about 129 instructors from the United States, Canada, Turkey, Algeria, Lithuania, Latvia, Britain, who coordinate the actions of the Ukrainian units,” said Basurin. In addition to the above, about 500 people are part of the Georgian National Legion and the Hungarian Battalion Magyar. He also noted that there are about 200 people belonging to international private military companies. Tagged advisors, Canada, Donbass, escalation, instructors, NATO, Orbital, sabotage, U.S.
Canadian instructors have arrived in Lviv to begin training Ukrainian soldiers to “use force”, a course built on NATO principles. “We conduct training that specializes in the use of force. The course includes a range of skills; how to carry out an arrest, how to use force proportionally and legally.” – said Canadian coach Matthew Hung. Seventy one years ago the most violent military conflict of the 20th century, the Second World War ended in victory over Nazi Germany. Unprecedented levels of destruction, barbarism, industrial scale ethnic cleansing, and a myriad of other atrocities took millions of innocent lives. 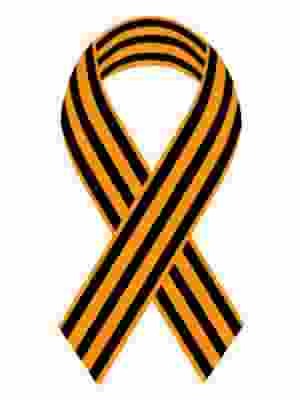 The Soviet Union paid the most terrible price with over 20 million civilian and military personnel dead. The genocidal plans of the Nazi leaders and their collaborators scarred the lives of millions more. Literary every family in what is now the former Soviet Union lost loved ones, or had been impacted by the war. That is the reason why the Victory Day celebration is one of the most important days in the calendar for nearly all immigrant communities from the former Soviet Union. Victory Day is a very personal day for tens of thousands of residents of Toronto, war veterans, their families. It is a celebration and remembrance of sacrifice and heroism. Last year’s Victory Day event organized by grassroots volunteer veterans organization took place at Earl Bales park in the north end of Toronto. Several thousand people, many holding portraits of their parents and grandparents, marched through the park to underscore the unity of all people from different generations, waves of immigration, countries of origin, religions and political backgrounds in their respect and gratitude for the sacrifice of the veterans. This year the Victory Day celebration might not have happened at all – if bureaucrats in the City of Toronto had their way. Officials at City of Toronto Parks, Forestry and Recreation did everything in their power to exclude organizers from Earl Bales Park, to prevent the community from honouring the sacrifice of their loved ones. A dizzying array of unreasonable, ever-changing restrictions, and obstacles had been placed in order to discourage the organizers and the community. Firstly, the bureaucrats denied the request to have a small parade of veterans and family members in one of the park’s roadways. Next they’ve tried to shuffle the event as far away from people’s eyes into a remote parking lot, that looks more like construction site than a place where veterans should be honoured. They placed restrictions on the use of washrooms and other park facilities, tried to deny space for an art exhibition, and demanded that a garbage collection company be contracted one day before deadline. City of Toronto officials forced the organizers to rent, at their expense, the amphitheatre in the park regardless that organizers had no use for it. The amphitheatre is not wheelchair accessible and could not possibly be used by veterans, many of who are wheelchair bound and are approaching their centenary. Next was the demand to erect a stage, also not needed. Building permits, crowd control plans, etc. Park officials did everything in their power to drown organizers in paperwork in order to satisfy constantly changing demands. Catering, signs, banners, all of the literature to be distributed or sold at the event had to be pre-approved by Parks officials. Even though the event is not political in nature City bureaucrats had effectively barred political organizations sympathetic to the cause from participating in the event. Organizers worked ceaselessly to satisfy the ever-changing whims of the bureaucrats. It took a month of negotiations, scores of meetings and the involvement of City Councillor James Pasternak for the City bureaucrats to finally allow veterans, but not members of general public, to march through the Park. Yet as soon as one set of obstacles would be overcome, the bureaucrats would slap another set of restrictions turning the process into a never-ending nightmare with an ever-more uncertain outcome. On the day of signing the permit, a little more than a day before the event, Lindsay Peterson a manager for Parks North York District had demanded from organizers to provide porta-potties, contrary to previous agreement negotiated with the help of Ward 20 city councillor James Pasternak. Surely she was aware that such a requirement would be impossible to satisfy in few remaining hours before her office closes for the weekend. When that had failed she had questioned the authority of representative to sign for the permit. Mrs. Peterson demanded, that the president of organization, a 88 year old veteran who doesn’t speak English, be summoned into her office to sign for the permit. It’s a miracle and testament to perseverance of volunteers at veterans group were finally issued a permit for the event. The treatment the organizers received underscores the level of hostility of Toronto City Hall and other level of Canadian Government towards Russian and other communities from the former Soviet Union. The ideologically based harassment, bordering on ethnic discrimination is something the community had to deal with for years. Yet the treatment organizers, who wished nothing more but to provide the community with opportunity to honour the sacrifices of their relatives, veterans and loved ones, got from City officials this year is definitely a new low by any standards. Not only does this macabre show exposes the strength of in City’s own Human Rights and Anti-Harassment/Discrimination Policy, but also showcases true value of Mayor John Tory’s commitment to running an inclusive city administration, open to all the communities and their concerns. Over 350,000 children were taken and used by Canadian and religious authorities. Many were murdered. More than 50,000 First Nation indigenous children disappeared and were murdered in Church of England and Catholic boarding schools, and 300,000 children (some of whom were United States citizens) were sold or were incarcerated in mental hospitals in Quebec to make money from the Canadian government. A special edition of In the Now: A story of an atrocity against children, a cover-up, and the sheer strength of survivors. One Canadian “Duplessis Orphan” shares what she had to go through in her childhood. Canada speaks so passionately about human rights. Then why do they murder, enslave, and experiment on their own children? There is still no justice for these children. The end of the Harper era. Canadian Prime Minister-designate Justin Trudeau has confirmed he will withdraw Canadian fighter jets from the air strikes against Islamic State (IS) in Iraq and Syria. He informed US President Barack Obama of his decision hours after leading his Liberal party to victory in the polls. As part of his election campaign, Mr Trudeau pledged to bring home the CF-18 fighter jets that were deployed to the region until March 2016. He has not yet given a timescale. Justin Trudeau’s Liberals swept to power in Monday election, ending nearly a decade of Conservative rule under Stephen Harper. Mr Trudeau, an ex-high-school teacher, is the eldest son of late Prime Minister Pierre Trudeau. In his first telephone conversation with the US president as Canada’s prime minister-designate, Mr Trudeau informed Barack Obama that he would make good on his election promise to withdraw the fighter jets. “I committed that we would continue to engage in a responsible way that understands how important Canada has a role to play in the fight against ISIL (Islamic State), but he (Barack Obama) understands the commitments I’ve made around ending the combat mission,” he told reporters in Ottawa on Tuesday. However, he said he would keep Canadian military trainers in northern Iraq, the AFP news agency reports. 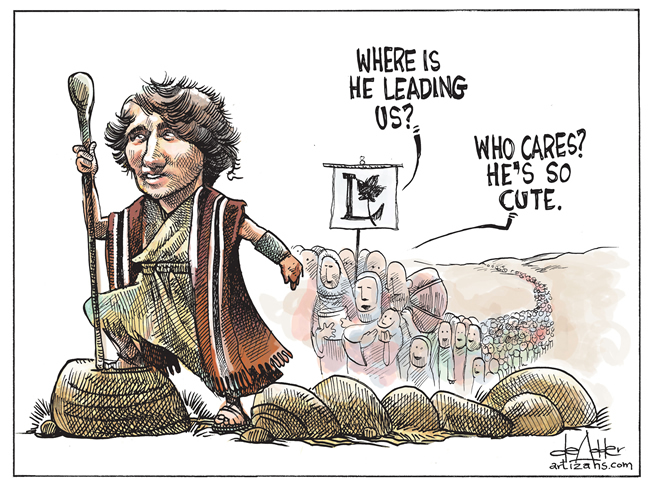 Mr Trudeau has also vowed to take in 25,000 Syrian refugees by the end of the year – a move previously rejected by his predecessor Stephen Harper, who took a much harder line on the issue.